The ANRS consortium “Humanized Mouse Models for Viral Hepatitis”1, made up of 6 teams of researchers, has developed a mouse model for studying the interaction between the immune system and the liver following infection by the hepatitis B virus. This research, coordinated by Dr. Hélène Strick-Marchand (Inserm joint unit 1223, “Physiopathology of the Immune System”, Institut Pasteur), responds to a real lack of animal models for studying this disease and thus opens up the possibilities for evaluating new therapeutic strategies. These results have been published in the journal Gastroenterology. Over 250 million people around the world are chronic carriers of the hepatitis B virus (HBV), and this figure is growing despite the existence of a highly effective preventive vaccine. Once it has developed, chronic hepatitis can progress to liver fibrosis, cirrhosis, and hepatocellular carcinoma (liver cancer). There are treatments to prevent the disease from progressing by keeping the virus under control, but they must be taken for life as they do not eliminate it completely. In order to better understand the consequences of HBV infection, interactions between the infected hepatocytes (liver cells) and the immune system response, and to be able to test new therapeutic strategies, researchers required an animal model with a physiology similar to that of humans. For a number of years, the ANRS consortium “Humanized Mouse Models for Viral Hepatitis”1, which is made up of 6 teams of researchers and coordinated by Dr. Hélène Strick-Marchand (Inserm joint unit 1223, “Physiopathology of the Immune System”, Institut Pasteur), has therefore been working to develop so-called “humanized” mice. This research has led to development of the HIS-HUHEP model, for which promising results have been published in the journal Gastroenterology. With the aim of modeling interactions between human hepatocytes (the target of HBV infection) and the human immune system, the HIS-HUHEP model is doubly engrafted with a humanized immune system, and human hepatocytes in its liver. Researchers analyzed the physiological responses of these mice to HBV infection, which proved to be comparable to those observed in humans. In addition, giving the infected HIS-HUHEP mice entecavir (an antiviral used to treat HBV infection) reduced their viral load and liver inflammation. The doubly “humanized” HIS-HUHEP mice represent an important animal model for studying the interactions that take place between the immune system and the liver in liver disease. This new model fills a real gap. 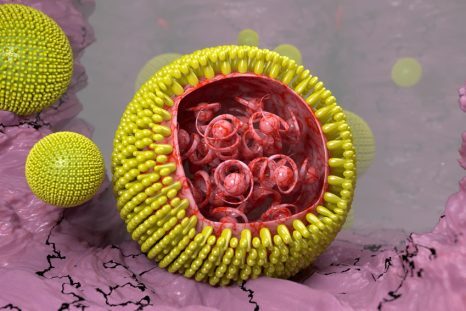 It opens the way to better understanding of the immune response developed to HBV, and to testing new therapeutic strategies with the final goal of eliminating the virus completely from the bodies of infected individuals.